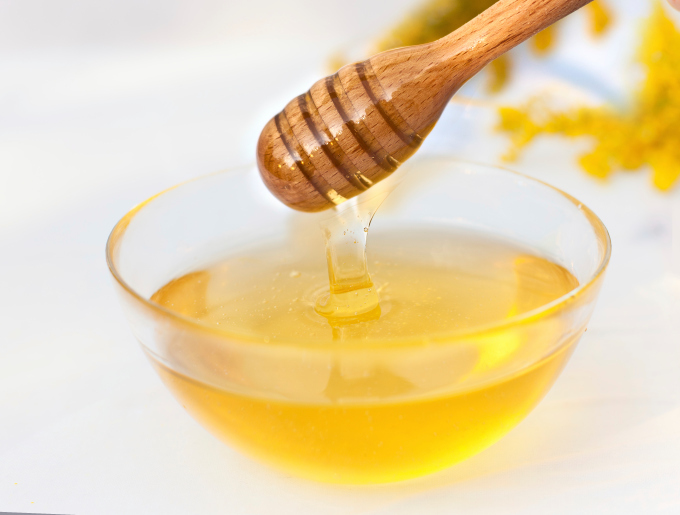 Home » Food and Nutrition » A Spoonful of Honey the Trick to Fighting Off the Flu? A Spoonful of Honey the Trick to Fighting Off the Flu? What would you say if I told you that there’s a food out there that can fight the flu without any of the harmful side effects linked to anti-influenza drugs such as “Tamiflu” (oseltamivir) or “Relenza” (zanamivir)? I use this food all the time. I drizzle it on my yogurt, and it is also a tasty addition to biscuits, muffins, and especially pancakes. I even love putting a few drops in my tea with some lemon juice. Still don’t know what I’m talking about? I’ll give you a hint: tiny insects make it in a hive-shaped factory. That’s right. I’m talking about the medicinal benefits of honey. Everyone enjoys something sweet on occasion. I know I do. So you can imagine how thrilled I was when I came across a recent study that explains how honey has displayed potential anti-influenza properties. It’s definitely a win-win situation. So what’s this sweet honey study anyway? Let me tell you. The study was published in the Archives of Medical Research, and as I read through the study, I noticed there’s one honey that was more powerful than the rest. It’s the “Superman” of honey, if you will. Manuka honey is its name. The study observed the H1N1 influenza strain known as A/WSN/3, which researchers have been very familiar with for quite some time now. In the study, Madin-Darby canine kidney (MDCK) cells were infected with the virus strain; two days later, the cells were exposed to various varieties of honey. The honey types tested included soba (F. esculentum; buckwheat), asacia (R. pseudoacacia), renge (A. sinicus), kanro (honeydew), and Manuka (L. scoparium). All five types of honey displayed antiviral activity, but Manuka did come out on top as the most effective. With Manuka being so powerful, it was also tested to determine its ability to reduce the growth of the influenza virus. The Manuka honey worked perfectly as an influenza pre-treatment by stopping the virus in its tracks. There were also noticeable virus reductions when the MDCK cells were treated with Manuka during and after the infection. What makes Manuka honey, and other kinds of honey, so powerful when it comes to their antiviral abilities? Phytochemicals, particularly the flavonoids and phenolic acids, definitely have an influence. But the healing properties of Manuka honey don’t end with influenza. It also has antibacterial, antimicrobial, anti-inflammatory, antiseptic, and antifungal capabilities. Manuka is also known for its ability to heal minor burns and wounds when applied topically. The honey can also be used to treat a variety of skin conditions, such as poison ivy, psoriasis, acne, eczema, and, ironically, bee stings. I also recall a 2013 study published in the renowned scientific journal PLOS ONE. For a 24- to 72-hour period, the researchers treated cancer cells with various Manuka honey concentrations. The results linked Manuka honey to reducing cancer cell growth in skin, colon, and breast cancers. Pretty amazing results, even as a starting-off point for more research. A spoonful of honey can also have many benefits when eaten. It may help you reduce digestion issues such as acid reflux, bloating, indigestion, and irritable bowel syndrome. It may also treat sinus infections and diabetes, boost your immunity, and lower high cholesterol. Additional research is needed to fully support some of these benefits; however, see for yourself. Enjoy a tablespoon of Manuka honey in your favorite tea, or even just in a glass of hot water with some lemon. Where can you purchase a jar of this miracle honey? I got some Manuka honey at my local health food store the other day; however, most grocery stores carry it as well. You can find it in the honey aisle, even though, in my opinion, its medicinal properties make it better suited for the supplement section. Ji, S., “Honey Found To Have Potent Anti-Influenza Activity,” GreenMedInfo web site, June 5, 2014; http://www.greenmedinfo.com/blog/sweet-news-honeys-powerful-anti-flu-properties-confirmed-2. Fernandez-Cabezudo, M.J., et al., “Intravenous Administration of Manuka Honey Inhibits Tumor Growth and Improves Host Survival When Used in Combination with Chemotherapy in a Melanoma Mouse Model,” PLOS ONE February 7, 2013; doi: 10.1371/journal.pone.0055993.